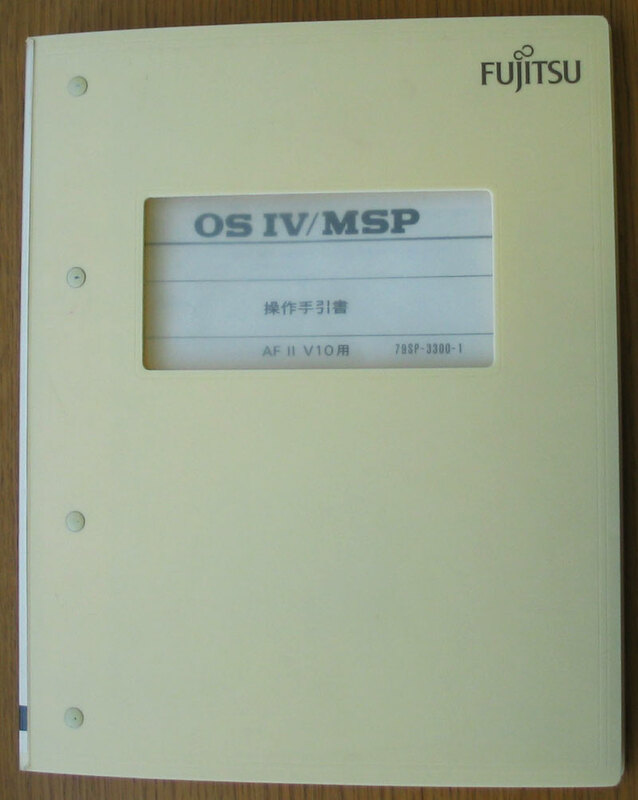 OSIV/MSP was Fujitsu’s super-large general-purpose operating system (hereinafter “OS”), and was announced in June 1989 as the successor OS to OSIV/F4 MSP. OSIV/MSP, commonly known as MSP-EX, was developed as an OS to achieve expansion and advancement of information processing through further enhancement of the existing OSIV/F4 MSP together with increasing processing capacity and reliability based on new architecture. In September 1990, when the super-large general-purpose computer M-1800 model group was announced, Fujitsu also announced functional enhancements of MSP-EX, including support of the new communication control processor SURE SYSTEM 2000, expansion of the virtual memory space to 16 terabytes, expansion of the number of multiple processors and a new function EXCEL BATCH. SURE SYSTEM 2000 provided the capability for continuous operation over 24 hours and 365 days, and EXCEL BATCH achieved high-speed batch processing by introducing a new processing way. Super-large general-purpose OSs for the M series evolved from OSIV/F4 to OSIV/F4 MSP, and then to OSIV/MSP. The following table outlines these OSs. The system storage was a memory unit that realized high performance close to that of the main memory and simple operability equal to that of a magnetic disk unit, and was newly developed for the M-770 model group, M-780 model group, M-1800 model group and VP2000. The system storage was capable of dramatically increasing data processing performance by storing in it frequently accessed data, data shared among systems, or a large volume of data that exceeded the capacity of the main memory. SCMP was a form of system in which multiple systems were coupled via the system storage. Through high-speed accessing capability and inter-system communication function of the system storage (SSU), SSU enabled the OS to perform exclusive control between systems, accelerate mutual system monitoring speed, and reduce the overhead. This enabled deployment of a system with higher processing capacity and higher reliability than those of the previous LCMP (loosely coupled multi-processor). Using enhanced functions of AIM V20, the SCMP system realized a high-speed hot standby system capable of taking over production system in seconds, and processing more than a million transactions per hour. Previously, in batch processing, one business application was divided into multiple processing units (jobs or job steps), and the data were transferred between the processing units using an intermediate file on a magnetic disk. With this way, a great deal of elapsed time was required because 1) serial processing of the units was required and 2) input/output of the transferred data took a long time. EXCEL BATCH enabled concurrent execution of the processing units by having each unit operate as an independent batch job, and drastically shortened the elapsed time for each batch job by achieving data transfer per block via the system storage instead of files on the magnetic disk. In June 1989, Fujitsu announced VTAM-G V30, which complied with OSI (Open Systems Interconnection) and extended the potential connectable numbers of computers and terminals to substantial limitlessness (10 trillion units), and started providing it in April 1990. In September 1990, the company announced support for the new communication control processor SURE SYSTEM 2000 (hereinafter “SS2000”) through functional enhancements of VTAM-G V30. Because SS2000 temporarily held data from a terminal during switchover processing to the standby system, it was possible to perform the business operation without interrupting. Previously, to change the environmental definition of a network when changing the network equipment, it was necessary to the system. However SS2000 enabled the user to change the network while operating the host computer without stopping. Because, SS2000 did not require being stopped itself when changing the network definition. And the definition changed onSS2000 was automatically reflected on the host computer. By allowing the channel device to perform the I/O processing which had previously been executed by the OS, ECF achieved improvement in reduction of the CPU overhead for I/O processing and in efficient use of the channel for increasing I/O performance. The existing OSIV/F4 MSP had supported multiprocessor of up to 4 CPUs. OSIV/MSP supported multiprocessor of up to 8 CPUs according to the provisions of the M-1800 model group. In addition, the OS increased the performance of the multiprocessor system by improving the exclusive control for managing the virtual memory and the real memory, and by improving the management of the system resources. OSIV/F4 MSP had provided the relational database AIM/RDB. 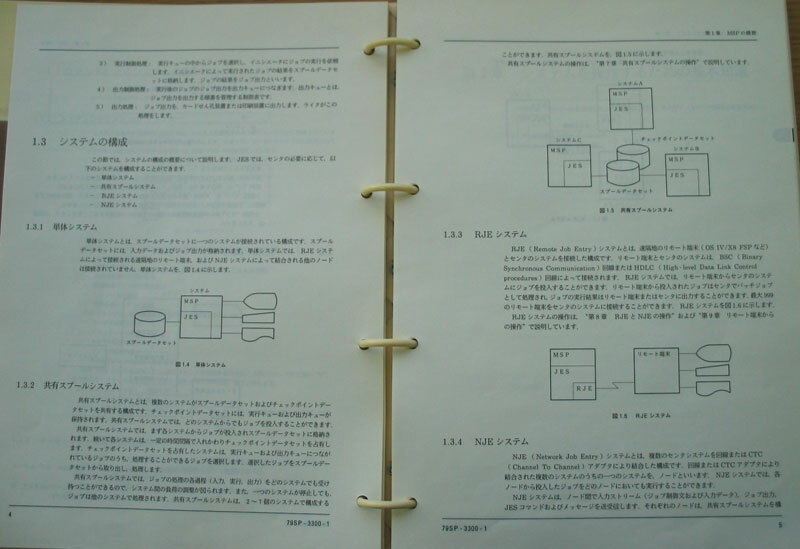 Fujitsu announced RDBII, in which significantly increased performance and adoption of international standard specification were newly realized, and began providing it in November 1990. RDBII adopted the database language SQL, which complied with the international standard ISO SQL9075. In addition, it achieved high transaction processing performance by using dedicated access method to shorten the database access time and adopting advanced optimization processing for SQL . AIM V20 realized multiple AIM environments that allowed creating an independent operation environment of business applications in an AIM environment, in addition to the functions for highly reliable online transaction systems (database sharing among multiple clusters and high-speed hot standby) under the SCMP (described in section (2)) configuration. Multiple AIM environments enabled independent operation and addition of each AIM environment as an independent operation unit of business applications.